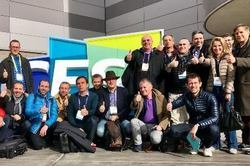 The Euro Tech Week allows CES international visitors and exhibitors to meet, exchange, and possibly start collaborating between themselves and with US counterparts before and during CES. 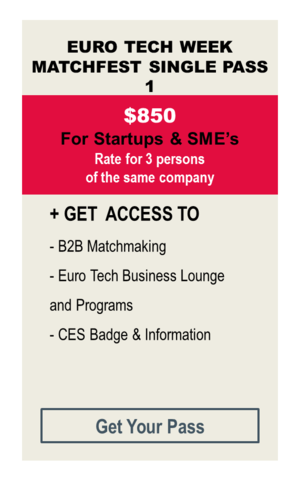 The Euro Tech Business Lounge is the most important global "VIP like" networking, co-working, and shared suite ever put together for CES. 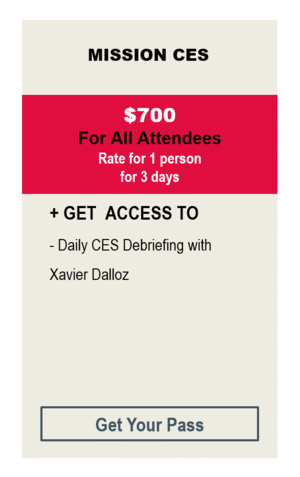 It is the CES HOTSPOT! The Euro Tech Week and its Post-CES Immersion Week are supported by European Commission Initiatives such as NearUS (initiative customized for research projects and deep tech startups and labeled MatchΠtch and Innovation Tour), Ready2Go and SME's Instruments Overseas Trade Fairs. Download Swapcard in App store or Google Play store. 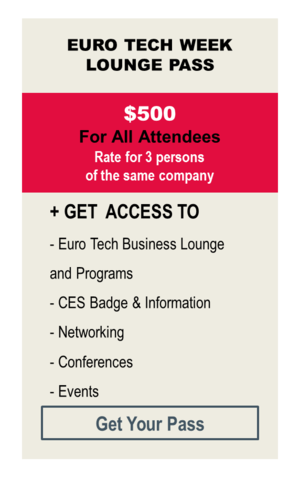 Use the event code: eurotechweek to connect with other attendees, exhibitors, and build new networking opportunities during Euro Tech Week. 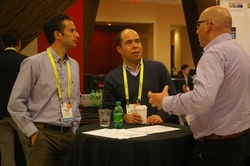 - Network & meet with exhibitors, consultants, special guests, etc. 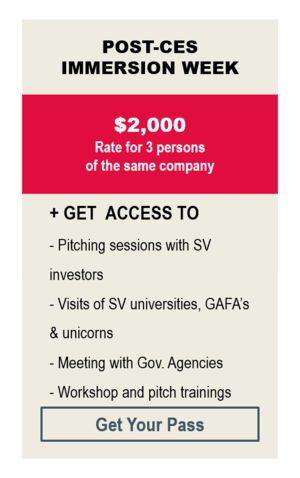 -Pitching sessions with active Silicon Valley investors including equity based accelerators (working with European entrepreneurs) and reputed business angel networks. -Visit of the Silicon Valley ecosystem: A selection of large vendors/manufacturers, GAFA's and unicorns. 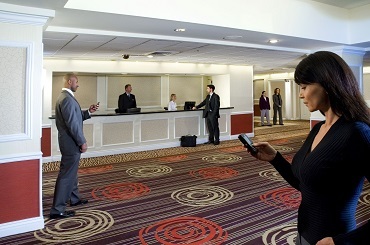 -Group meetings with local government agencies from any EU country and from SF / CA / federalagencies. -Educational workshops and pitch training sessions. Expand your product/market knowledge, grow your international business experience, and create new contacts with our international network of professionals specialized in innovation, entrepreneurship, trade and investment. 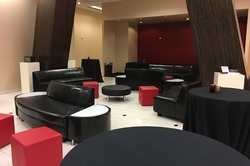 Organize your business meeting and private events in a warm business setting and hyper-collaborative lounge area: Euro Tech Business Lounge. 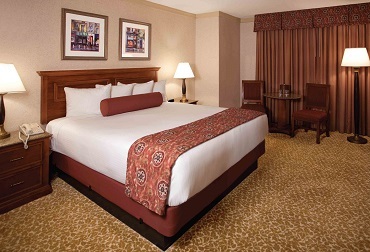 Benefit from a private VIP lounge area, business center, and concierge services. 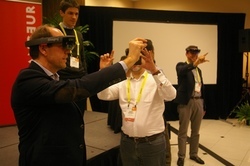 Expose your delegation to new consumer technologies, applications and media. We offer several different pass options depending on your participation. Please select Get Your Pass below to register today! Join us for this exclusive event honoring Women in Technology. Hear success stories, meet with top entrepreneurs in the industry, and stay for a cocktail reception and international networking party. Tickets are included in the Euro Tech Week Pass and Euro Tech Week MatchFest Pass. If you are not purchasing a Euro Tech Week Pass and only participating in a CES Floor Tour or Delegation Program, you may purchase a ticket for $100 per person. Free entrance for women in the tech industry. Click here to purchase your ticket today! 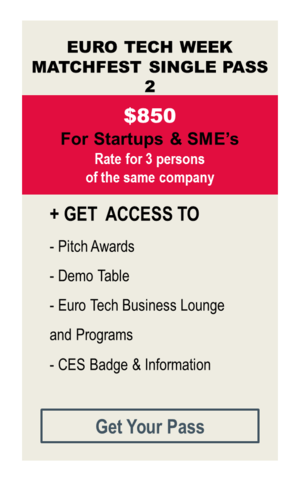 Euro Tech Week events will be held in the Nevada Ballroom on the second floor of Harrah's Hotel and Casino. This is private event. The information contained herein is subject to change without notice.